Some people might write off their pain as "tennis elbow," "runner's knee," or "that old injury," but painful joints or loss of motion should not be something you have to live with. Joint damage from repetitive motion can result in pain, inflammation, and stiffness. Whatever the mobility problem, chiropractic care is the best way to increase your strength and agility and resume a healthy lifestyle. What are the extremities and what causes injuries to these areas? Extremities are the arms and legs. Joints in the extremities include the shoulders, elbows, wrists, hands, hips, knees, ankles and feet. 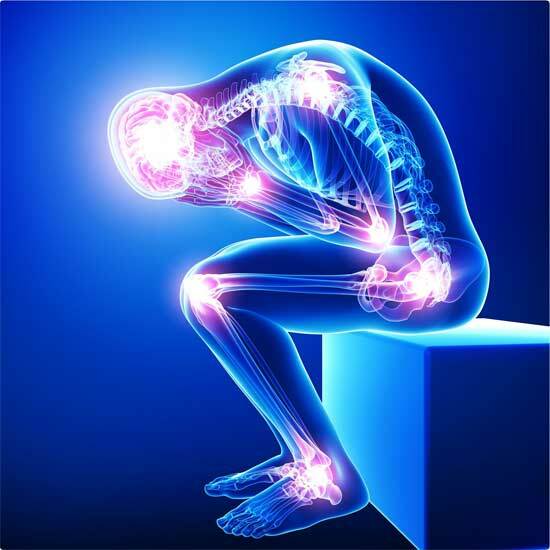 Repetitive motion - such as continually sitting in the wrong position, overexertion or strains, or falls and accidents are a few causes of pain to such areas. These actions impair joint function, causing inflammation, calcium buildup, scar tissue and loss of motion. Joints may feel locked up or jammed until the condition is repaired. What are my care options? Drugs may numb the pain, but they won't help you regain your mobility. Steroid injections are sometimes prescribed, while other doctors splint the joints to reduce movement. Extreme cases are handled surgically, but these procedures are invasive and costly. Chiropractic care offers the most natural solution. What does chiropractic involve? Mobilizing the injured joints will significantly help your condition. A chiropractor will make adjustments to restore the joint's normal range of motion and position, improving blood circulation, reducing scar tissue and enhancing the body's natural healing process.